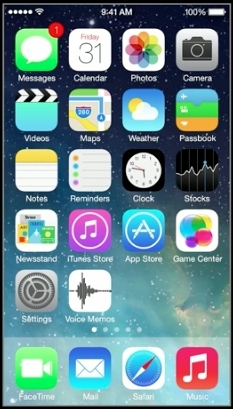 A leaked image from a WWDC developer session is making the rounds, showing that the Voice Memo app that isn't currently included in the iOS 7 Beta 1 will make an appearance in a future release. The VoiceMemos app is not available in this seed. The Voice Memo app doesn't seem to appear in any of the iOS 7 marketing materials on Apple's website, but developers should see it in a future iOS 7 beta release and we expect it to be included in the final iOS 7 release this fall. I gotta say, any icon is better than what they used to be under Forstall. Yeah... because a squiggly line is more indicative of "voice recording" than a microphone. oh my GOD that icon. A polygraph tracing. The iPhone will know if you lie. Lemme pray that they're busy working on an entirely new set of icons. Messy. If I saw that in cydia, I would have laughed and moved on. Maybe they should fire all of their "designers" and spend there cash stockpile on Dribbble designers. Well, that's a relief. I use that app all the time.